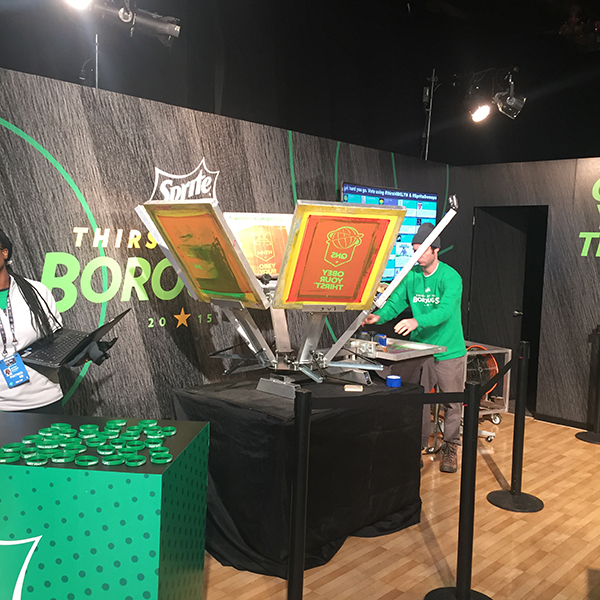 For the third year in a row, ink+cotton is at the week-long celebration of the NBA All Star Game, this time with Sprite. 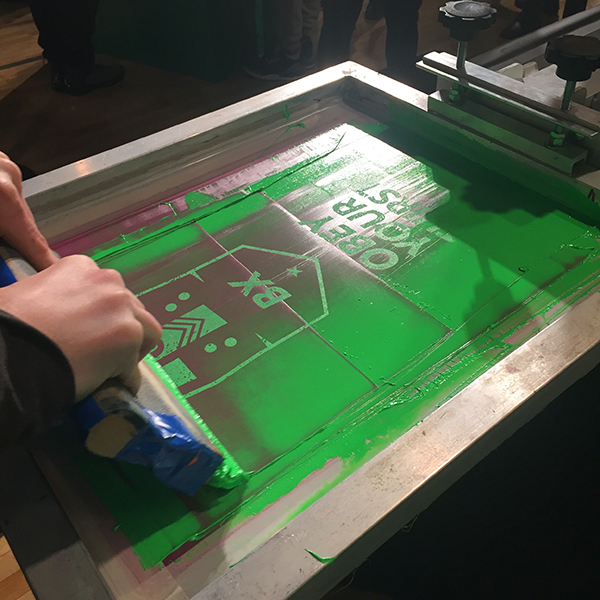 We’re live screen printing the official Sprite pantone shade of green onto black t-shirts and rally towels. We’re always educating ourselves and pushing ourselves to move forward in our industry, which is why our clients can ultimately choose any color as their base fabric, and have any color ink printed (including matching pantone colors!) In the short history of live screen printing, the most common base fabric to be printed on was white, but when our clients ask for something new and different, we find a way to make it work! 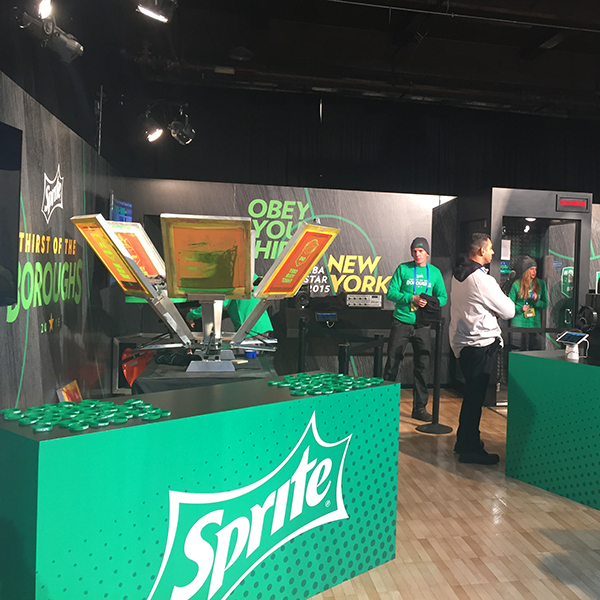 Sprite’s promotion surrounding the NBA All Star event is called “Thirst of the Boroughs.” Since New York City is the host of the event, Sprite set out to see which of the 5 boroughs of New York City has the most passionate fashion enthusiasts and emcees. To enter using Twitter, contestants are asked to tweet the hashtag #SpriteSweeps and #thirst4MHTN, #thirst4BKLYN, #thirst4BX, #thirst4SI or #thirst4QNS. The Twitter contest ends this Friday, Feb 13th, but you can get your own live screen-printed tee or rally towel with your favorite borough until Monday! Come find us at Moynihan Station! If you can’t make it out to the All Star events this week, be sure to check out the Sprite Slam Dunk on TNT Saturday Feb 14th at 8:30pm (ET) where Giannis Antetokounmpo (Bucks), Zach LaVine (Wolves), Victor Oladipo (Magic) and Mason Plumlee (Nets) will dunk their way to a championship.